Procuring for major oil projects is a difficult task, particularly in the case of large-scale offshore projects such as floating storage production offloading vessels (FPSOs). 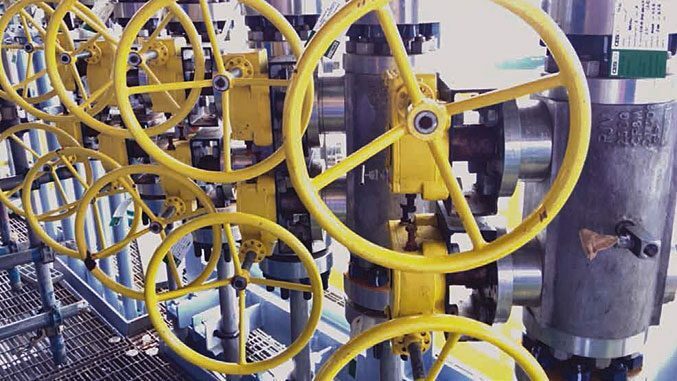 Valves are a niche yet vital part of the collective assets – and project owners need assurance they have the right product to support their critical infrastructures. Steven Charles, Group Commercial Director at PJ Valves looks at the vast array of procurement options and how companies can tackle the complexities. EPC contractors in charge of procurement must contend with tight budgets and short deadlines, all the while ensuring they maintain high quality standards. Perhaps their greatest challenge in all this is managing a fragmented supply chain. This is particularly the case with valves, which form a significant part of the overall order. With everything from widely used ball valves to niche products such as specialised double block and bleed valves alongside a variety of designs for check valves, where should those contractors begin? There is no one factory in the world that produces every type of valve that meets the price, delivery and technical needs of a project. As a result, companies are faced with multiple purchase orders, factories and suppliers. The valves themselves are usually commodities, which means that there is little to differentiate between like-for-like products. With a multitude of logistical and risk considerations, companies are looking for the best ways to minimise efforts and ensure an efficient process. The first criteria in deciding where to source product is often a project’s own approved vendor list. This might have strict stipulations around country of origin or specific brands, which would limit the contractor’s available options. The project team will then want reassurance that all products include the latest characteristics and adhere to the highest industry and end user standards. These might incorporate quality standards or specific materials to ensure compatibility with the wider infrastructure. However, both these steps will likely leave open an extensive range of options. Another factor, and sometimes more difficult to fulfil, is delivery. Projects are under pressure to convert to revenue quickly, leading to short timelines and small margins. There is a fine line between success and failure, so getting materials in the right place at the right time is critical. Here, location really matters. 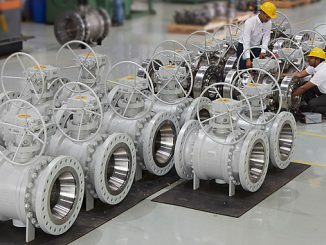 The valve might be manufactured in one country, shipped to another for fabrication and then deployed in an entirely different region. This will directly affect which supplier networks project owners opt to plug into. Even with all these boxes ticked, contractors will be left with a long shortlist of confusing options. 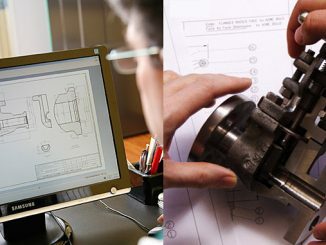 The most important question becomes: go to a valve distributor or direct to a valve manufacturer? As the valves market grows, there are more manufacturing options than ever before. For popular ball valves, companies can choose from hundreds of different sources. The main benefit of dealing with the manufacturer is access to factory-level prices. If a project is procuring a single product in high volumes, these savings can make a big difference to the overall cost. There can be significant advantages in terms of delivery as well. Working directly with the factory puts the project in closer contact with its supply chain. With their fingers on the pulse, project owners can communicate any changes to the manufacturer, which can then react quickly to the evolving needs. While cost and logistics are attractive benefits, of course, there are some distinct downsides. 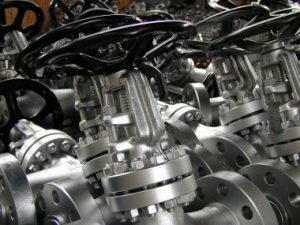 Due to the spectrum of valves in scope, a typical mid-sized project might have to work with as many as seven or eight different manufacturers. 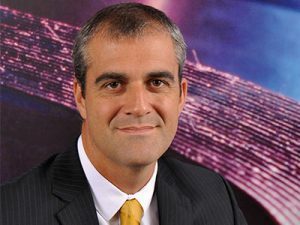 The resulting administrative burden can become time-consuming – and the sheer pressure of being responsible for all the cogs in the wheel could lead to some costly mistakes. That said, the manufacturer model has worked well in both Europe and Asia-Pacific (APAC). Many factories are based in Europe, so companies in this region can get the logistical benefits of being close to their supply chain. 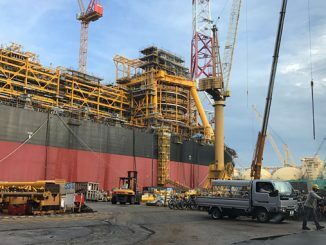 In APAC, FPSO topsides are particularly prevalent and they’ll often seek single product packages, which lends itself well to working directly with the source provider. The supplier landscape is similarly vast. There is a wide range of stockist and distributors, who will keep their own inventory of valves. However, these will inevitably fall short of most project requirements. Instead, there are the better equipped project suppliers, which will source a wide range of product packages depending on each customer’s needs. The appeal is that a good project supplier can become the master distributor, managing the entire supply chain on behalf of the project. That cuts out a huge administrative burden and will help ensure a speedy and reliable fulfilment. Project suppliers will also lead with a customer-first approach, using their understanding of technical specifications internationally to tailor a compliant and cost-effective solution. Access to this expertise means project owners save time and money choosing the right fit – all while removing the risk of non-compliance. For this to work, however, the supplier must have an established global distribution network, enabling it to offer a full range of products. The quality and breadth of this network is a major differentiator and should enable the supplier to offer a competitive overall project price, while still providing a single supplier relationship. There are limitations, however. Even the most well-connected and established supplier might struggle to match the manufacturer’s direct price. They’ll also be unlikely to compete with the manufacturer’s in-depth knowledge of a specific product. The supplier model has flourished in both the US and Europe. In the US, a lot of the oil and gas projects are onshore and there are tried and tested brands that meet their needs. The US has built its distribution model around these brands and the model continues to serve the domestic market well. The reality is there is no one option to suit all projects – although some projects will naturally lend themselves more to one model. Where the bulk of the order is for one type of product and the project has capacity to manage logistics, working directly with a manufacturer could prove advantageous. 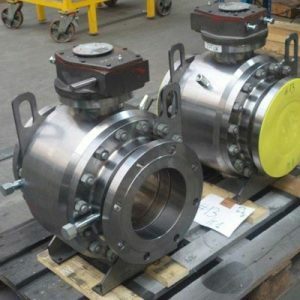 However, if the project has complex delivery requirements across a broad spectrum of valves, it would do well to consider a trusted project supplier to ease the pressures. The optimum position, however, is for projects to have access to the best of both worlds. That means a single supplier relationship for all valves, including direct access to the manufacturer for the highest quantity product. The result would be competitive prices, streamlined management and easy access to technical expertise. Ultimately, it’s about finding the approach that ensures the valves can get to the right place, at the right time and within budget. This is what project owners really need to know – and only then can they move forward and ensure projects are a commercial success. Steven Charles, PJ Valves Group Commercial Director, has 25 years’ experience in working with major end user specifications including BP, Shell, Aramco and NORSOK.